Having a tripod always on hand can mean the difference between a mediocre or a great shot, but only if you can get it set up in time. 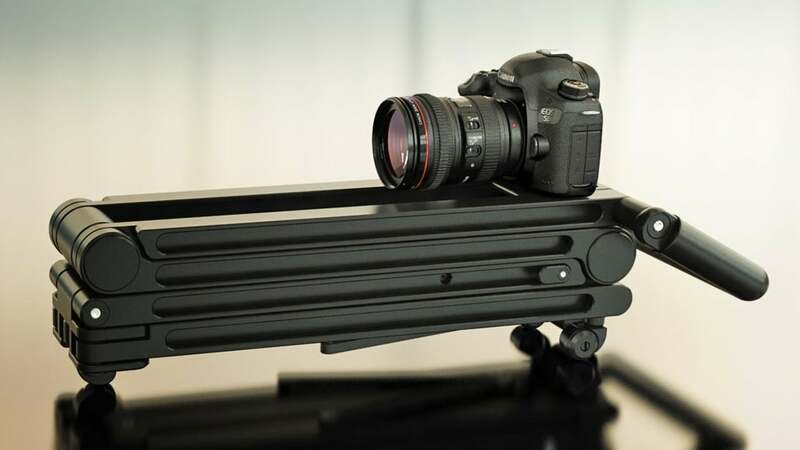 By eliminating knobs, buttons and gangly extending legs, Edelkrone has created an interesting tripod alternative that can be easily positioned in seconds. The unique folding design collapses down to just 51cm long, but can be raised to a height of around 150cm. 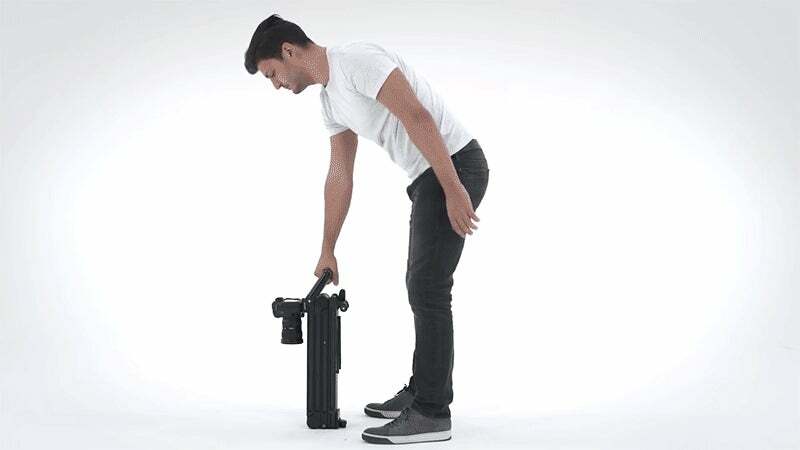 The gadget's compact footprint and unique flexibility also makes it easier to position a camera closer to certain subjects without having to add extensions. However, the most notable feature of the Standplus is the unique pivoting hinges that can hold their position without having to loosen or tighten any knobs. In the demo it's shown easily supporting a DSLR with a decent sized lens hanging off the front, but presumably the amount of weight it can support depends on the angle you intend to use it at. Will it completely replace the ultra-light and ultra-compact carbon fibre tripod you usually carry hanging off your camera bag? Probably not. The Standplus' three support legs don't have a particularly wide stance, making it tricky to use on uneven terrain. And its overall size when collapsed still can't compete with the smallest of tripods. For studio work, though, it could be a unique alternative — depending on what the asking price ends up being when it's available later this year.